I guess I am an airline geek. Because I haunt airline blogs and aviation websites, looking at aircraft photos and other stuff. Anyway, this past week has been a rather tragic week for the aviation industry. First, Aloha Airlines went bankrupt. Then, within a few days, ATA Airlines also file for bankruptcy. And, before the week ended, Skybus Airlines also ceased their operations. Indeed, the United States is facing a recession. But who am I to blog about the economy, when I don't even understand basic concepts of it? However, it is interesting to see that the shutdown of these three airlines will cause problems to travelers. I guess I am fortunate not to have booked flights on these airlines for my travel. I guess I should say that travelers should be aware of the status of their airlines, if they're making a profit, or if they're knocking on death's door. Low-cost carriers usually are tricky; they offer cheaper flights than the legacy carriers, but then, just look at Skybus for example. It didn't even last for a year. Anyway, enough of that depressing talk. Traveling should be fun, not a headache. And speaking of traveling, I need to finalize my itinerary for May. 34 days to go. I have a PDF file of my schedule, which I will forward to the ones in need of it in a few weeks. I am almost done with one of my papers. This is the one for the class I am taking. This is a good thing, since I can devote more time to my qualifying paper, especially since my adviser is already asking for a draft. I have to attend to that pretty soon, besides, I have all the numbers I need for now. I finished my earlier book, which was a collection of travel tales from around the world. I loved it, but I realized that I am too practical to be a vagabond. I cannot spend months and months away and traveling. I still need a home base. I don't see myself as packing a large backpack and tramping around Europe and Asia for stretches of weeks. Maybe, because for me, traveling is simply an escape. A temporary escape from reality. But still, I liked reading the book, but it never inspired me to do something similar to the narratives. So, I returned it to my friend, who lent it to me, and picked up a new one. 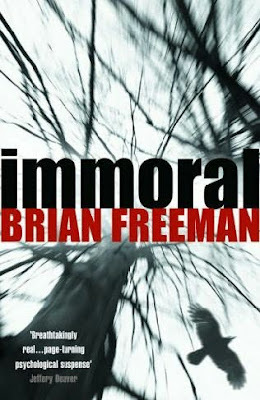 This book, entitled Immoral, by Brian Freeman, is a psychological murder mystery. I is fiction, but I don't think it can be called literature. It's not one of those modern classics, I suppose. It is a page turner, yes, but it's more like mass market paperback that is sold in airport bookstores to pass the time in the airplane. The only difference for this one is I have a hardcover version, since I borrowed it from the library. But all the other mass market fiction characters are there, such as a first chapter preview on the author's next novel. Well, if it wouldn't enrich me culturally, at least it will provide me some entertainment, and again, a temporary escape from reality. I guess that makes me an escape artist. Just to say I love the skyline picture at the bottom. Cities are beautiful at night. Hey, did you know that the Palau President, who went on an official visit to the Philippines refused to board a commercial plane going back to Palau because they wanted to frisk him? It was a US Airline... Southwest or something like that. Geez! He's a bloody head of government. It caused a lot of scandal in the Philippines. Thanks for the compliments. 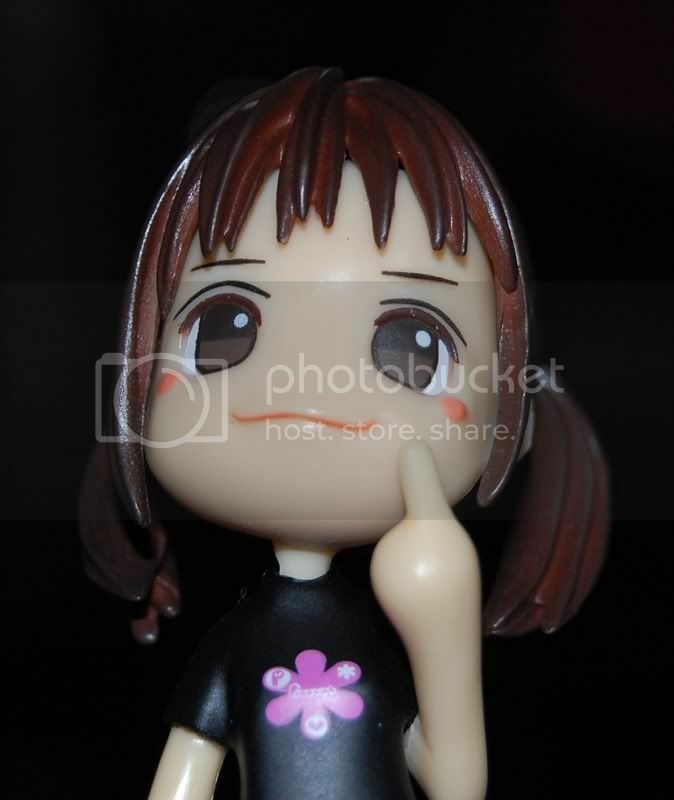 I had a hard time taking that photo. And I agree, the shutdown of the airlines caused considerable agony to the stranded travelers. Thanks! That is one successful shot out of, say, 15 blurry ones? I didn't have a tripod with me, and that was a prolonged exposure, therefore it was very hard to take. Are you sure? Because as far as I know, Southwest doesn't fly internationally.